WOW, hard to believe 2014 is coming this week! We've had an awesome Christmas holiday, and lots of visiting with family as well as some general downtime - always nice! I was checking out my blog posts from 2013, and reminiscing a bit on all the treats I've done this year. I've even forgotten about some of them! Since there are "metrics" on everything these days, I thought you might like to see the Top 10 most viewed posts by you guys from the year. 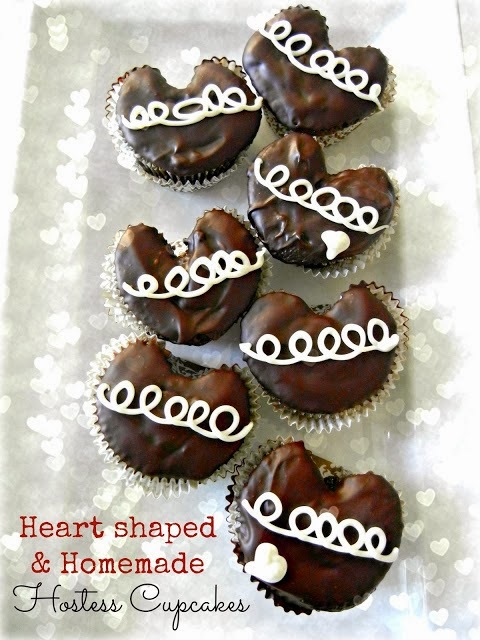 #10 Heart Shaped & Homemade Hostess Cupcakes - these were super fun and made by baking a marble in the pan to give it the heart shape. #9 Lego Ninjago Pretzel Sticks - pretzel snacks were HUGE this year. 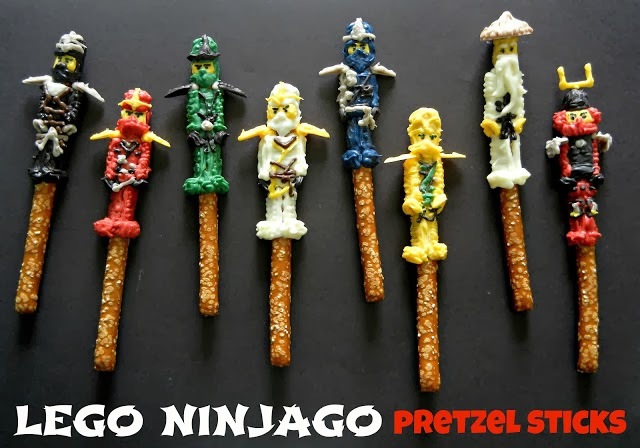 I made these character pretzel sticks for my kiddos who are a bit obsessed with Lego Ninjago. Huge "mommy is the best" points with this one! 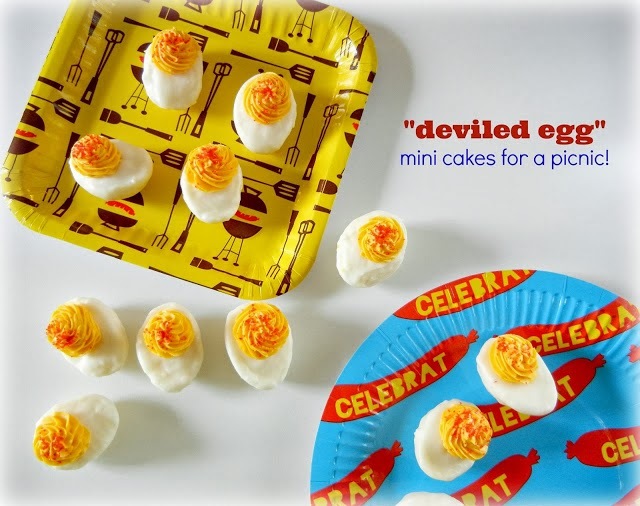 #8 "Deviled Egg" Mini Cakes - these little cakes were part of a fun picnic party around the blogosphere and are made to look like deviled eggs, but are really tiny little sweet cakes. 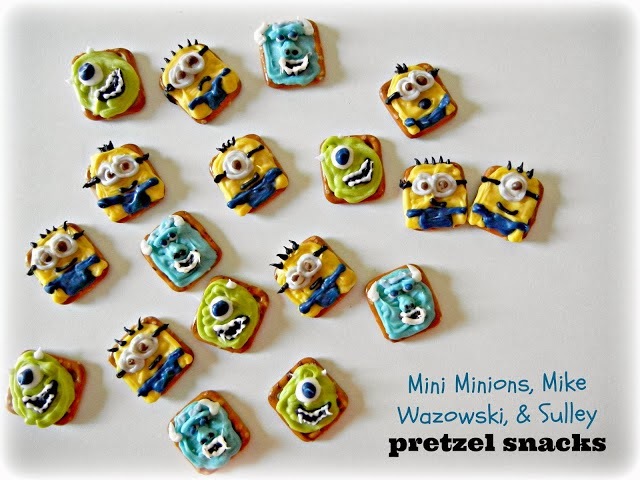 #7 Despicable Me 2 and Monsters U Pretzel Snacks - You guys like your pretzel snacks! These were for the new movies that came out this summer (supposed to be minions, Mike Wazowski, and Sulley). Very easy, just made with square pretzels and candy melt. 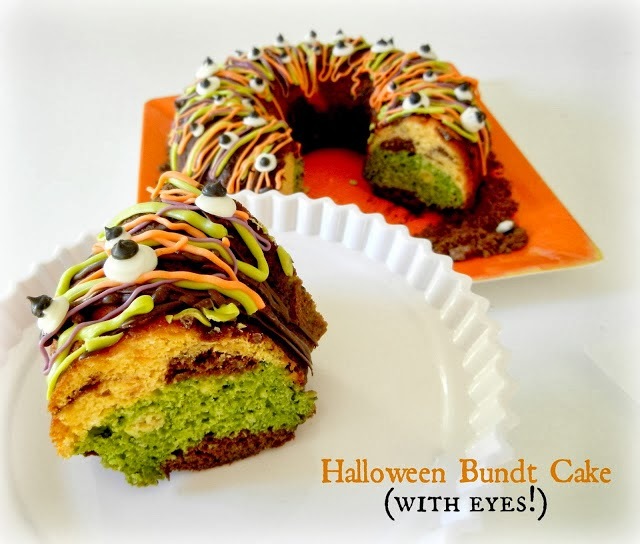 #6 Tri-Color Halloween Bundt Cake - This is one of my favs from the year too, a bundt cake that was colored with spinach, beets, and sweet potato. To halloween it up a bit, just add some eyes! 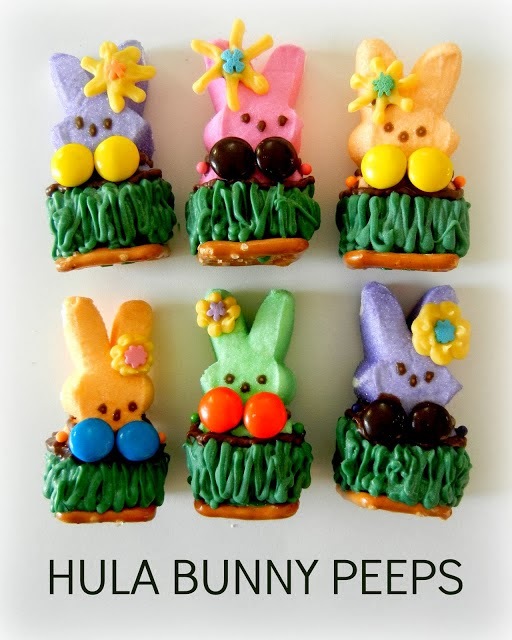 #5 Hula Bunny PEEPS - what better way to celebrate the spring season then with some marshmallow PEEPS! These are dressed up as Hula girls, complete with grass skirt and coconuts! 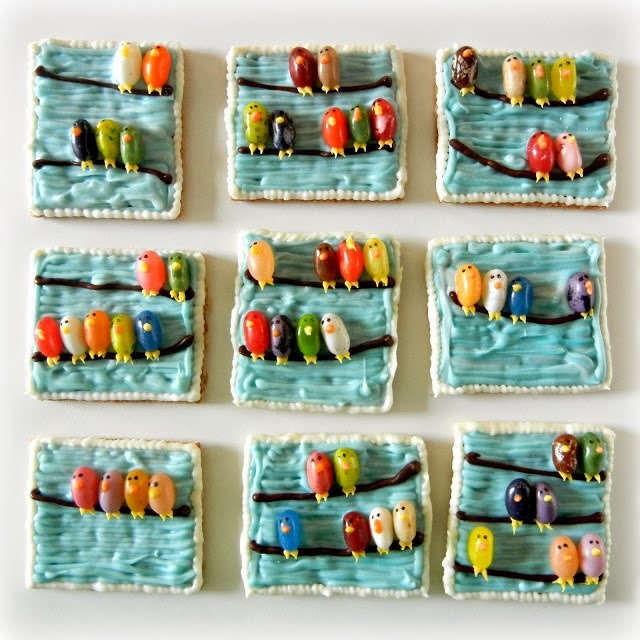 #4 Birds on a Wire Graham Crackers - another of my favs from the year are these Birds on a wire. The birds are just jelly beans in all different colors. So colorful and fun right? 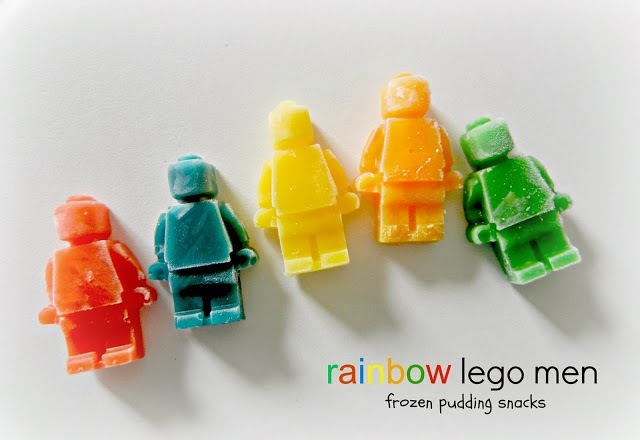 #3 Rainbow Lego Men Pudding Snacks - and you guys also love Lego! These are made from an ice cube tray and some tinted vanilla pudding. So easy. 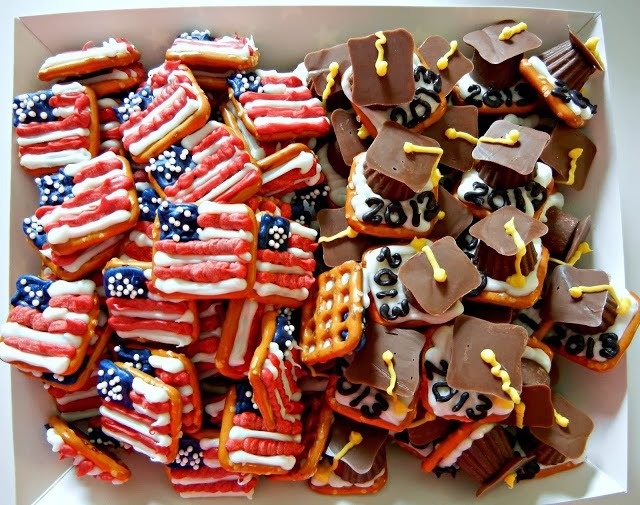 #2 Patriotic Flag and Graduation Hat Pretzel Snacks - like I said you LOVE sweet and salty! More pretzel snacks 1) flags and 2) graduation hats made from mini Rolos or mini Reeses peanut butter cups. 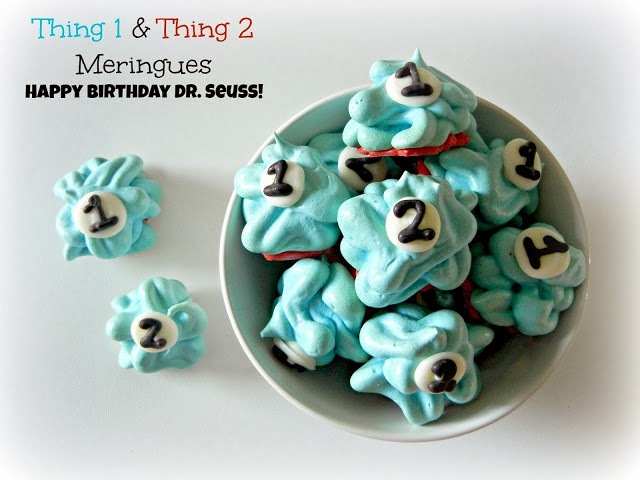 Thing 1 and Thing 2 Meringues !!! Also a big favorite of mine, which came about because I messed up another recipe. I kinda love it when stuff like that just falls into place - Oh and maybe being a Dr. Seuss treat had something to do with it! I hope your 2013 was a great year. Thanks again for always stopping by, reading, commenting, sharing, and pinning. I can't wait to see what 2014 brings! Happy New Year! !